Polish and Slip Agent put a high gloss surface on any ball. I bowl in some dry houses and could not get my ball off the headpin with 4000 abralon and other polishes. Vice polishes have done the trick! 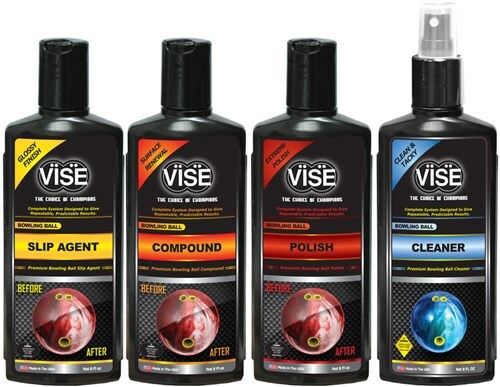 Due to the time it takes to produce the VISE Ball Maintenance System Kit ball it will ship in immediately. We cannot ship this ball outside the United States.